It seems like every time you turn on the TV or open Facebook someone is talking about Climate Change. The Intergovernmental Panel on Climate Change released a concerning report that says we are already feeling the impact of climate change. These impacts include increasing frequency and intensity of storms, forest fires, droughts, and floods. Sea level rise due to climate change will lead to increased coastal flooding and erosion, while increased rain during winter and increased temperature year-round may have impacts on forestry, fisheries, infrastructure and more. Toquaht lands cover an extensive stretch of coastline that is vulnerable to these impacts. This means that the water we drink, the land we respect, and the houses we live in can all be affected by future climate change. In order to protect Toquaht lands for current and future citizens, Toquaht Nation is developing a Coastal Adaptation Plan. We will work with technical experts who have the tools to look at Toquaht Lands and understand what impacts might happen, and what climate change will do to Toquaht Lands 10, 25, 100 years in the future so that we can make sure that the services and infrastructure we are developing today are able to handle those changes. By doing this we are making a clear path to adapt to Coastal Climate Change impacts. How will it be created? Toquaht Nation will be assisted by a team of consultants who will lead technical tasks while working collaboratively with Toquaht staff. The consultants will be providing training and capacity building to Toquaht staff as an essential component of this project. The project will be guided by a group of community members who make up the project’s Citizen’s Advisory Committee. Citizens will be invited to provide input on key components of the plan to ensure traditional and local knowledge and community priorities are core to the Plan. The Plan will be developed over the course of two years, from 2018 – 2020. The project officially started in early October with a kick off meeting attended by Toquaht Council, staff and the consultants. This was followed by the first meeting of the Citizen’s Advisory Committee. From now until March 2019 we will focus on collecting the necessary information and understanding coastal hazards. 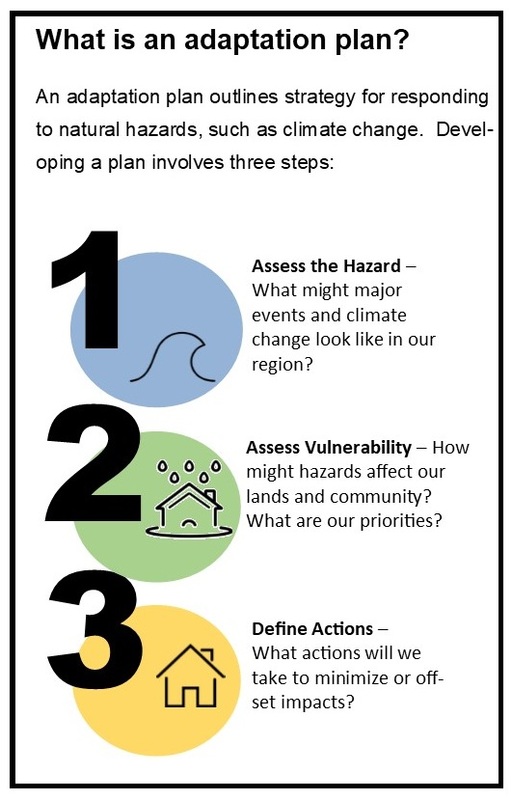 In April 2019 we will begin to assess our vulnerability to those hazards and identify solutions to make up the adaptation plan (ending March 2020). The project will involve a team of Toquaht staff, community members on the citizen’s advisory committee, and a team of consultants who will work together on technical tasks and deliverables. The lead consultant, Kerr Wood Leidal will lead technical tasks and provide training to Toquaht staff as a major goal of the project. How will this help Toquaht Nation? By creating a Coastal Adaptation Plan, Toquaht Nation is taking a proactive approach to protect lands and citizens today and for future generations. 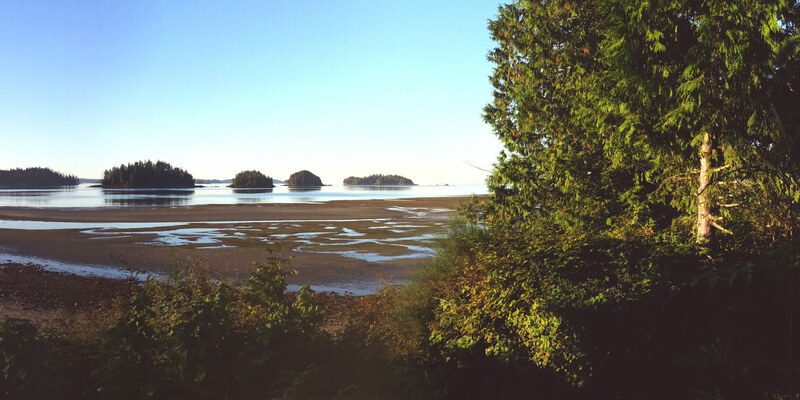 The resulting Coastal Adaptation Plan will serve as a guide for Toquaht Nation leadership and administration to know what actions need to be taken to keep Macoah and Toquaht Treaty Settlement Lands safe. This will include more detailed emergency response planning, knowing where the best places to build houses and community buildings are, and how to protect natural, cultural and economic resources for future generations. How can citizens get involved? If you are interested in learning more about this project be sure to attend the People’s Assembly meeting on December 6th at the Friendship Center in Port Alberni or contact the Toquaht Nation offices.